Car transport is a service used to ship a vehicle in a trailer of a car carrier from one location to another. Due to its convenience and affordability, auto shipping has become common, both for commercial and personal purposes. Car shipping is the easiest way to move a car long distance and has many advantages: it is less expensive, does not add to the vehicle’s mileage, and relieves the driver from the dangers and stress of driving for long hours. Philadelphia Car Transport is a top auto shipper, providing services all around the United States. With Philadelphia Car Transport, you can ship any type of vehicle of any make and model. Our professional team is dedicated to making auto transport affordable and simple for each of our clients. We make sure to accommodate our customers’ needs. Whether you are relocating or leaving for college, going away for a long business trip, vacation, buying a car from an out of state dealer or online auction, Philadelphia Car Transport will take care of moving your vehicle for you. We will schedule the delivery so that it works for you. 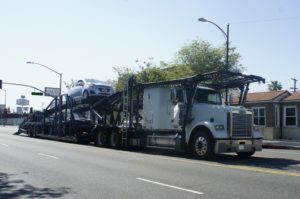 You can also choose between the two methods we provide at Philadelphia Car Transport: open and enclosed auto shipping. Philadelphia Car Transport will be happy to ship for you!